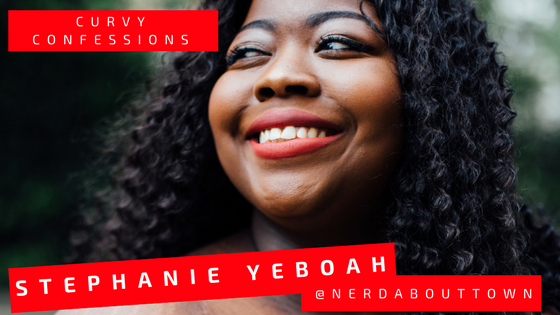 Stephanie Yeboah, South London, 28 years old, Marketing assistant & part time plus size style blogger. The moment for me arrived in Barcelona in 2013. I had dieted to the point of starvation in order to achieve the 'right' body to be able to wear a bikini for my birthday trip. I remember taking a photo of myself in the mirror with a bikini on (after losing nearly 4 stone very dangerously, and while physically I 'fitted in', I remember feeling disgusted with myself and lower than I ever thought I could be. It was at that point that I decided to begin the steps towards self care, self love and re-establishing my confidence with my body. 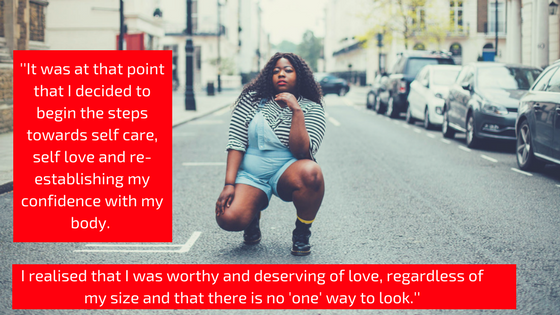 I realised that I was worthy and deserving of love, regardless of my size and that there is no 'one' way to look. I decided there and then to stop feeding into what society had always told me to look like and to shun the Eurocentric standards of beauty in favour of doing my own thing, which in turn is beautiful in its' own right. It did take me a while, especially when you live within a community that dictates what 'kind' of fat is deemed acceptable. As someone who is black, non-small fat and non-hourglass shaped fat, it definitely took me a while to come to terms with accepting my body shape and finding that inner beauty. As someone who suffers from depression, It seemed at the beginning an uphill struggle as I would constantly have these voices in my head telling me that I wasn't good enough and that I did not deserve to be happy because of how I looked, however it's so important to be surrounded by positive people and to have a safe outlet to talk about how you feel. You and your thoughts, are always valid. I think it's fantastic that as plus sized women, we can have our place within the fashion industry and that mainstream stores are beginning to extend their sizes, however I believe it's important that if we are going to continue to display images of plus sized women in fashion, we need to at least broaden the spectrum beyond the current 'white, beautiful, hourglass-shaped' woman. This is the 'acceptable' kind of fat that is predominantly shown in fashion, and is not an accurate representation of how diverse our body shapes are. 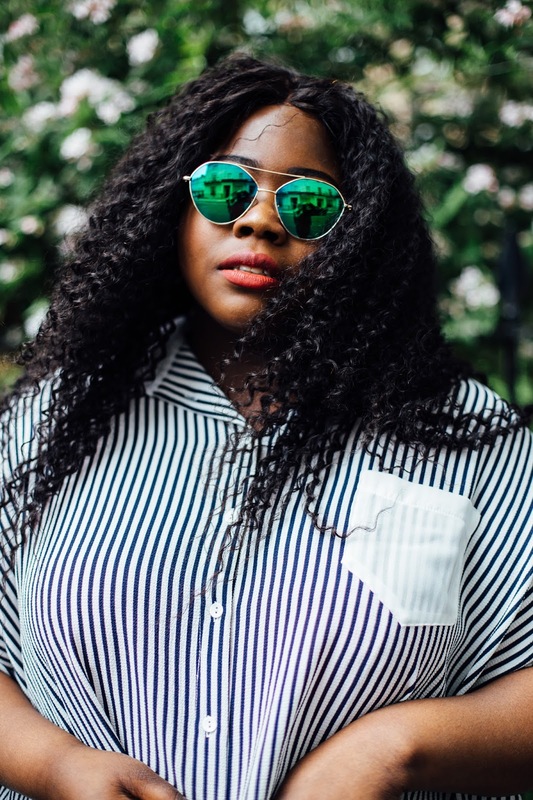 Brands are capable of doing a lot more to provide inclusivity within plus sized fashion and I hope we get to see more of this within the future. I'm in love with ASOS Curve, as they have such an extensive range of on-trend pieces for plus sized women. I also love Navabi and Elvi for their gorgeous tailoring and high quality pieces. I've always been a fan of my legs and tend to get them out at any opportunity. I love them because they are strong, lean, thick and look great in heels. Thank you! Recognize that the path to self love is a long and tricky one and you will have good days and bad days. You have to have the belief that you DESERVE to be here. 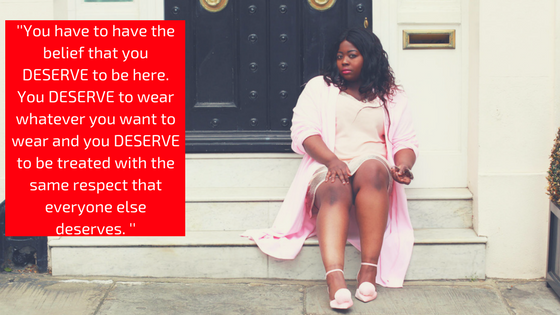 You DESERVE to wear whatever you want to wear and you DESERVE to be treated with the same respect that everyone else deserves. You matter, you are important and you are loved. Beauty doesn't have a weight limit. By practising self care, whether that be a long bubble bath, face masks or pedicures. I also like to dress it in awesome clothes and show it off whenever possible, because it deserves to be seen, like everyone elses.